Twenty-four professional and aspiring chefs, foodies, and innovators participated in the October 2016 grand finale of the Superfoods Cookery Contest. The top three winning professional chefs from the first two competitions were invited back to compete against each other. 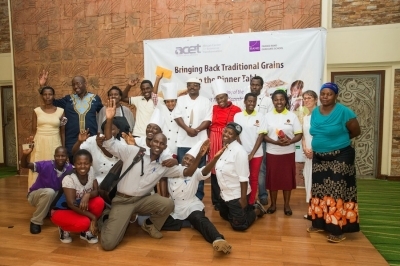 However, an added level of difficulty was added in to the final competition: each professional chef was partnered with a street food vendor from Kampala, and all pairs were expected to prepare foods that could potentially be sold by vendors.